This entry was posted on January 30, 2019 by Erin Swinfard. I bet you have an old wedding invitation saved somewhere in your keepsakes, right? Because it makes a perfect memento for that special day. It lists all of the pertinent info from your wedding. The persons, the time, and the place. And I am confident your wedding invitation is perfectly stashed in a box that is somewhere in the attic or something. Don't hide it, use it to create a custom Valentine's Day gift. Rather than tuck that perfect memory away, why not create a custom Valentine's Day gift with it to display for all to see. 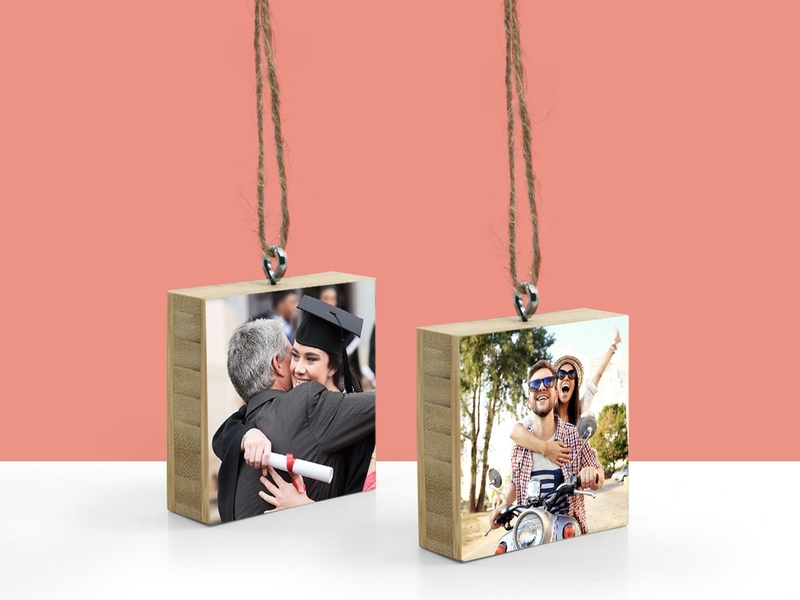 So dust off that old wedding invite and mount it to a bamboo or birch wood block. Tell me that wouldn't make a great Valentine's Day gift. It's sentimental, it's original, and it's thoughtful. Just what women love. Of course, this is going off of the assumption that you have a standard 4.5-inch-by-6.25-inch rectangular invitation. If you have a circle, which yes, that is a thing, or a square you might want to consider a direct print. But that's a whole other topic. First of all, I love using the phrase "the process." It just sounds so pretentious. Here's how you're going to go about actually creating this piece of art. So for a standard sized wedding invite you'll want to use a 4X6 blank birch or bamboo panel. Some cropping will occur, but that's alright. Straight-edge (i.e. 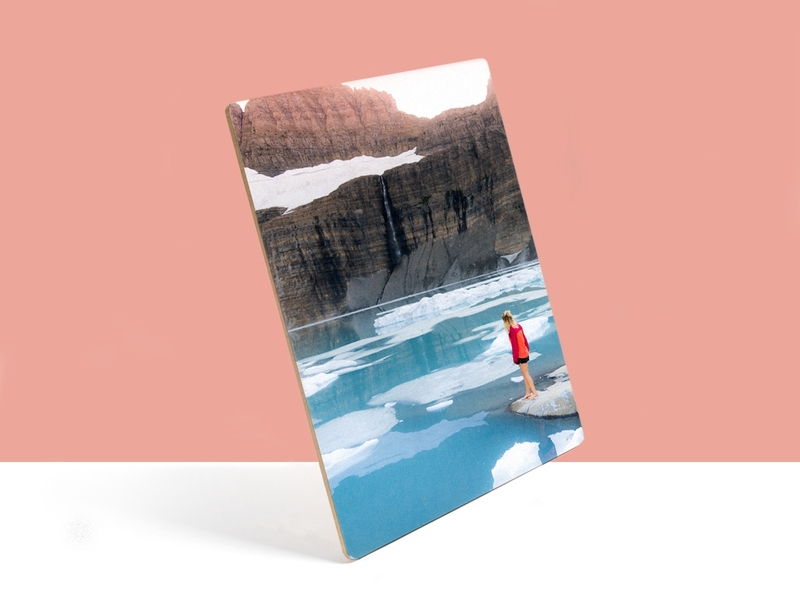 hardcover book or piece of wood). Non-abrasive/lint-free cloth (i.e monitor, lens or glasses cloth). Before exposing the adhesive, place the print on top of the panel to ensure you have some overlap on every edge (you will need this for trimming). 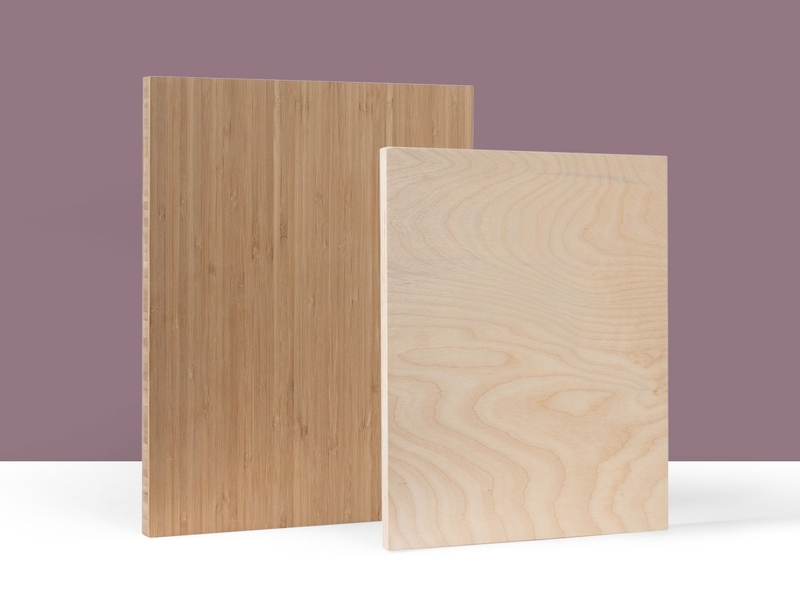 All Plywerk panels are made 1/8" to 1/2" less than stated size to allow some bleed. This allows you to trim the image to perfectly fit the panel. 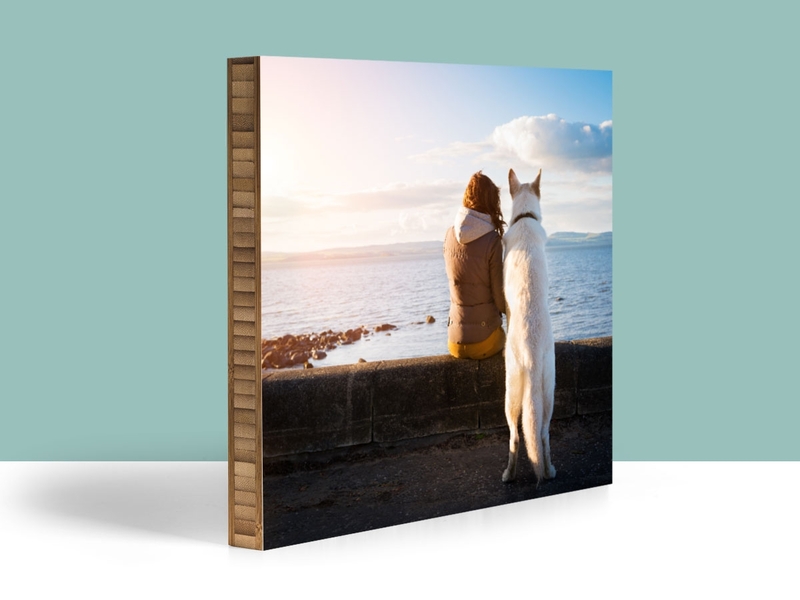 So if your print is 8"x8" it should fit an 8x8 Plywerk with 1/8" to spare. Check the orientation of your panel. The keyhole hanging slot in the back is supposed to be positioned along the top. Our attempts to pioneer 'upside down art' have proven disappointing. People just like stuff the right way up. leaving the adhesive release liner in place and run your mind and hands through the steps in the "Mounting Your Print" section below. practicing your cutting first by just placing the Plywerk panel down on some scrap print-paper and test cutting. Again, run your mind and hands through the steps in the "Trimming Your Mounted Print" section below. Be VERY careful not to cut the wood. Pull back approximately 1” of the adhesive liner on the leading edge of your Plywerk panel and fold the liner to create a tab. Make sure your print and exposed portion of the adhesive are clear of any debris. Once the photo touches the adhesive there is no going back. Slide your Plywerk panel up against your straight-edge. Place the print into the corner where the straight-edge and blank Plywerk panel meet. Place your index finger in the center and gently rub up and down that edge thereby adhering and securing the edge of the print. Slightly lift the unsecured portion of the print up so you can grab the liner tab you created in step 1. Slowly pull the tab back while letting your print down on the newly exposed adhesive. Now take your non-abrasive cloth and starting in the middle of the secured edge rub firmly up and down along that edge and move along a 1/2" or so with each up and down pass. Once you've gone over the entire panel, pull it away from your straight-edge and firmly rub the print in a sunburst pattern (from the middle towards the edge) of strokes to secure it. You may define the edges by gently creasing them across the panel edges. But watch the corners to make sure you don't pierce the print. 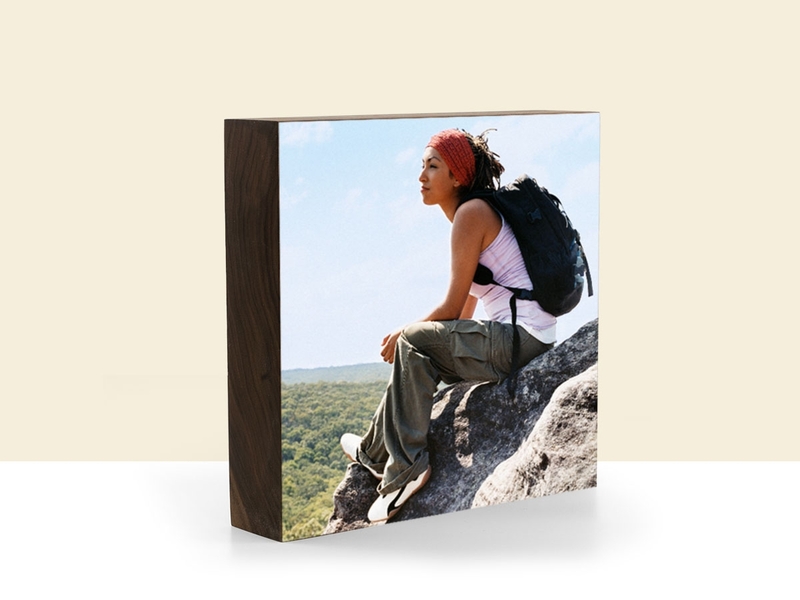 Lay the Plywerk panel with print mounted on it, face down on a clean hard surface that you don't mind cutting into. Use a fresh knife blade for each image you trim and be sure you have enough of the blade showing to clear the top of the panel (i.e. when you cut, the plastic blade housing should not touch the panel). Angle the blade ever so slightly out from the panel, so that the beveled part of the blade-tip (look closely at the blade) rests against the side of the Plywerk panel. This way the final trim is totally flush with the edge. Press down on the panel forcefully with one hand and trim with the other. With the trimming hand do not apply too much pressure, but apply just enough so you won't have to re-cut. Do one continuous cut for each side. Trimming little areas off is troublesome and should be avoided. So there you go. A custom Valentine's Day gift of a totally amazing memory. If you've made it here with plenty of time to spare, order now, so you don't have to worry about it later. If you've just found this article and are in a state of panic, ORDER NOW! BEFORE IT'S TOO LATE! If you saw this article before and decided to ignore my advice, then I like you, you little risk taker you.